Our new iPad app delivers the current issue to subscribers, offers back issues for sale, and includes a free preview of the current issue. For 15 years, we have been featuring recreational destinations that are accessible to general aviation aircraft—from grass strips with under-wing camping to full-service, fly-in resorts. “Readers have been demanding an easy way to reference our extensive travel information without carrying 73 back issues weighing more than 30 lbs. By the end of the year, we expect to have our complete library of more than 500 destinations available,” said editor-in-chief John Kounis. “Furthermore, foreign subscribers can now receive our publication digitally without incurring high shipping fees.” An annual subscription costs $19.99 and back issues are available for $4.99. 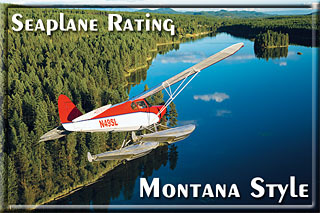 For more information, visit www.pilotgetaways.com/subscription-options. 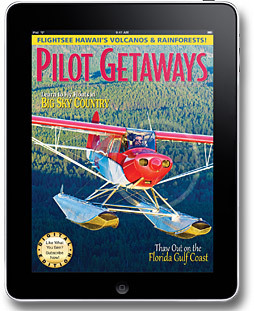 It’s a new year, and this first issue of 2013 is full of fun flying ideas for you and your family to start the year off right with new adventures. We’ll help you make plans to visit and fly over the Big Island of Hawai’i, with its incredible diverse landscapes and jewel-like turquoise waters. The Big Island’s Kohala Coast is the sunniest spot in the whole state and with some of its finest resorts, yet this island sees far fewer tourists than some of the other islands. It’s not too late for winter adventures, either. Grand Marais, Minn., on Lake Superior is a great area for watching winter wildlife and enjoying winter activities. For many, late winter means it’s time to gear up for Sun ’n Fun, aviation’s annual kickoff to fly-ins. A side trip to St. Petersburg with its beautiful beaches makes a worthy addition to your Florida trip. And if all this watery fun has you thinking about adding a float rating, this issue has the lowdown on how you can do just that. Winter is almost here, but that doesn’t mean you have to put your airplane—and your flying skills—into hibernation. This issue is jam-packed with fun places all around the country for your next winter adventure. From the far north to the Southwest to the Florida Keys, we’ve got an array of destinations to fit all budgets. 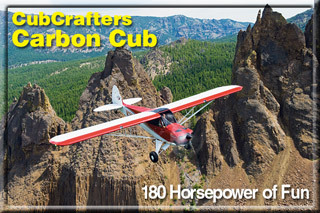 And for those who may be dreaming of the perfect fun airplane for the backcountry, we present a thorough review of the amazing CubCrafters Carbon Cub! As hot weather is being replaced by cool nights and crisp leaves, we look forward to fall, which brings some of the year’s best flying weather with clear days, fewer thunderstorms, and less wind. 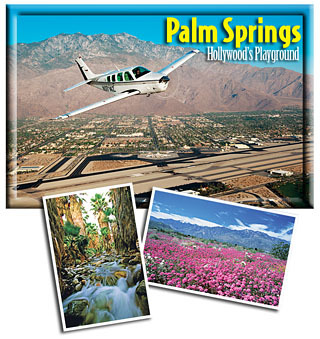 Our cover story on Palm Springs is timely, as aviators will gather there for the annual AOPA Aviation Summit. You can also celebrate fall colors along Lake Michigan, sample the harvest in Washington’s Wine Country, or pull up an Adirondack chair in luxurious Lake Placid. It’s the height of the summer flying season and we’re bringing you a full array of summertime adventures in this issue! We cover an historic Pennsylvania town where you can fly in for an air show, stroll incomparable gardens established by the DuPont family, and visit a famous museum. Minnesota is delightful this time of year, and we’ll take you to a charming small town in that state. 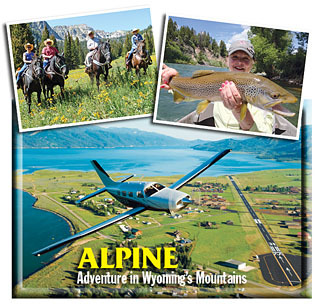 Out west, you can fly in to an exquisite airpark surrounded by spectacular mountains and trout-filled streams, not far from Jackson Hole. Those with mountain flying skills and equipment can drop in to a luxury ranch in Idaho’s deep wilderness, along the Middle Fork of the Salmon River.